2019 wall calendars - on sale now! The history of Boston-Edison, its architecture, and the sense of community that we have all grown to love is unmatched by other Detroit neighborhoods. For 2019, the Historic Boston Edison Association (HBEA) has developed an all-new calendar to hang up and proudly display the beauty of the neighborhood each and every month. 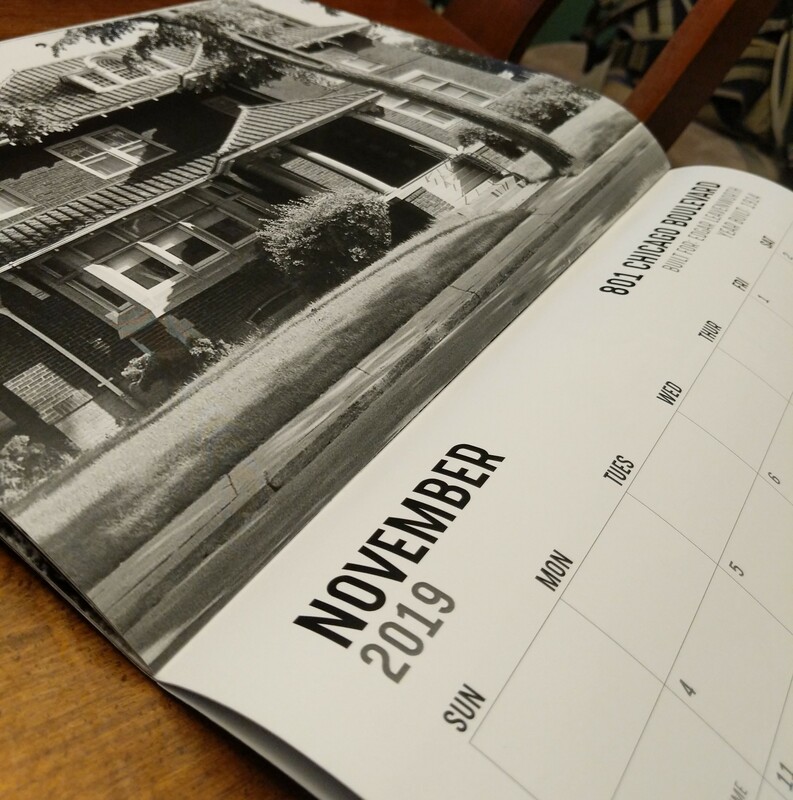 The calendar features 16 unique homes and enlarged digitally enhanced black & white photos found in the Boston-Edison archives. Stay up to date on neighborhood events, such as the "Sounds of Music" concert series, Attic Sale, General Membership meetings, and the 2019 Holiday Home Tour, built right in to the calendar! 2019 Boston-Edison Wall Calendar Just $5 each! The Historic Boston-Edison Association is a 501c(3) nonprofit organization.